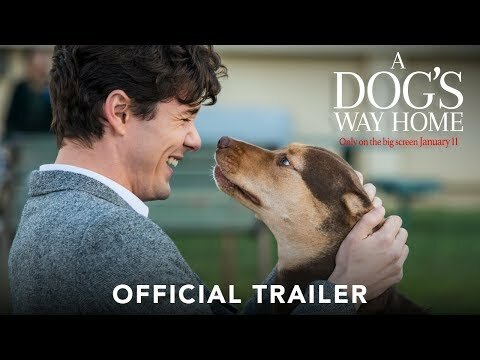 "A Dog's Way Home" chronicles the heartwarming adventure of Bella, a dog who embarks on an epic 400-mile journey home after she is separated from her beloved human, Lucas, an aspiring med student and VA hospital volunteer. Bella touches the lives of many during her unwavering quest; from an orphaned mountain lion cub to a homeless veteran down on his luck, Bella brings joy and comfort to everyone she meets with her unique spirit and faith. A Dog's Way Home was released on 91d ago in the UK and the US. Based on 9 A Dog's Way Home Cinema reviews, A Dog's Way Home gets an average Cinema review score of 57. The score for all versions is 57 based on a total of 9 reviews. This family-friendly adventure, reminiscent of 'The Incredible Journey,' follows a tried-and-true but heartwarming path. The narrative fashioned by screenwriters W. Bruce Cameron and Cathryn Michon (based on the former’s book) is discernibly bare-bones in execution.